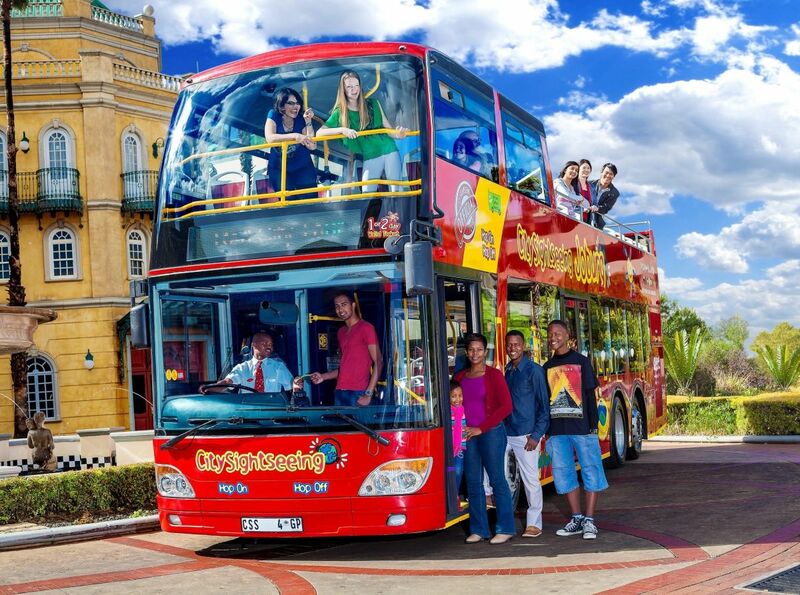 Did you know that City Sightseeing Johannesburg offers several different tours and ticket options? We've put together a list of these options so you can easily decide which you want to go for. 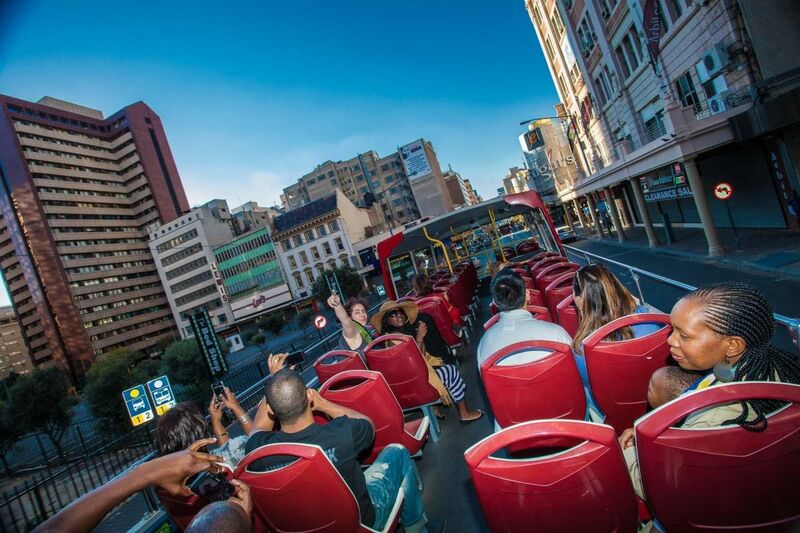 With a one-day ticket you can hop on the open-top red bus and hop off at 12 stops along both tour loops to explore Johannesburg's top attractions. The one-day ticket gives you access to both the Green Tour and the City Tour. The Green Tour starts in Rosebank and takes you through Johannesburg's leafiest suburbs to Constitution Hill, where you can switch to the City Tour. The City Tour takes you through the city centre to Gold Reef City Casino Hotel and the Apartheid Museum, and then back to Constitution Hill via Newtown and Braamfontein. While on the bus, our on-board audio commentary in 15 languages (English, Afrikaans, Arabic, French, German, Dutch, Italian, Japanese, Mandarin, Portuguese, Russian, Spanish, Swedish, Turkish and Zulu) will give you insights into not only what you see along the way, but also into the history of the City of Gold. Hopping on the bus on a Sunday? Buy your Sunday Sizzler ticket (online only) and save R20. The two-day ticket includes everything the one-day ticket does, but it's valid for two consecutive days, giving you more time for exploring the stops. 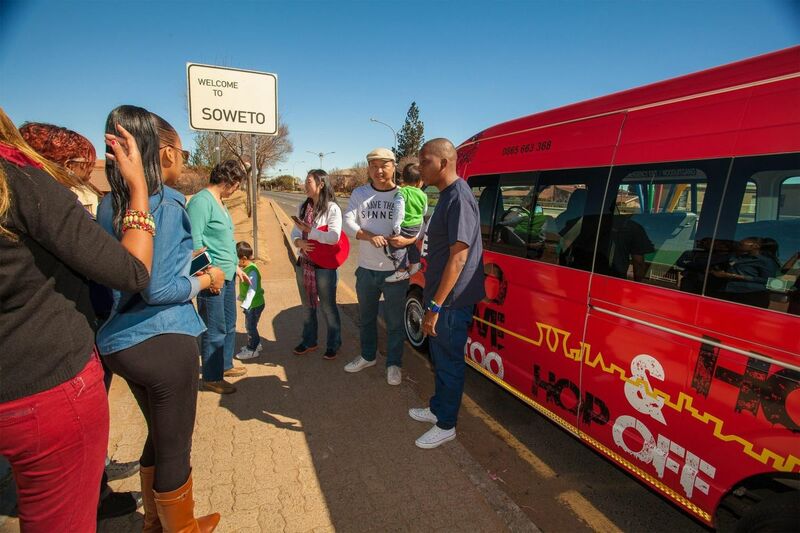 With this ticket you can combine the Green Tour and City Tour on the open-top red bus with a guided tour to Soweto, arguably one of the most historically significant places in South Africa. Hop on the shuttle at Gold Reef City Casino Hotel and it will take you to FNB Stadium, Orlando Towers, the Hector Pieterson Memorial, Vilakazi Street (once home to both Nelson Mandela and Desmond Tutu) and Kliptown. The first shuttle to Soweto departs at 10.05am and the last one at 3.20pm daily. If you want to make the most of your time in Johannesburg and get value for your money, our two-day City Tour and Soweto Combo is the option to go for. This ticket gives you access to the Green Tour, the City Tour and the guided tour to Soweto over two consecutive days. 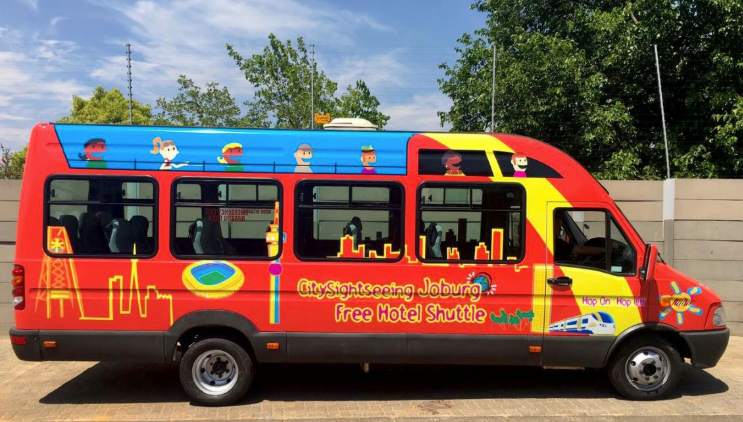 Don't forget about our free shuttle service from departure points at certain hotels in Sandton and Melrose to our ticket office in Rosebank (stop 1), available to all City Sightseeing ticket holders. Click here for more information as well as departure points and times.